Improving men’s health outcomes is a two-way process involving men, women and families, and health services combined. 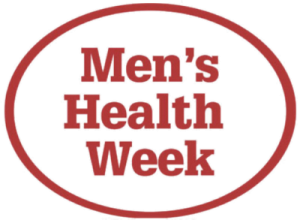 It is important that men make use of health services to preventatively manage their health and find out before it’s too late if problems exist. But equally, health services need to know how to reach out to, communicate with and engage with men to be effective in helping them when they do come through the door. It’s a two-way process that is about creating environments that support the ability of men to access healthcare effectively and support health services to treat men effectively. Be active in getting medical help if you don’t feel well, have a problem that won’t go away or notice unusual symptoms. It’s OK to seek help – don’t try to do everything on your own or bury problems. Talk to your wife, friends and workmates. Push hard to get the help you need to manage your life, work, family and financial needs. Ladies, be proactive in helping your men and boys get the help they and you need. Use available hotlines, speak with professionals to get the best course of action and be persistent. Don’t leave it too late to seek help. Fear is not a killer. Men’s sheds: The Australian Men’s Shed Association (AMSA) is the peak body supporting almost 1000 Men’s Sheds and is recognised as one of Australia’s largest male based community development organisations. The AMSA was established in 2007 by the Australian independent community-based Men’s Sheds to represent, support and promote the Men’s Shed movement. It was founded on the principle of sharing information between sheds and those communities wishing to establish and operate a Men’s Shed. It acts as a central hub for information exchange. Motor Sports Clubs: The steps to hosting or running a motor sport event in Australia is applying for a CAMS event permit (Confederation of Australian Motor Sport). There are over 3000 CAMS permitted events held every year, each one representing the diverse sphere of motor sport ranging from high level international meetings to non-competitive show and shines.Promoters, organisers or affiliated car clubs can apply for a CAMS permit by completing the relevant application form and submitting it. Aviation clubs: Welcome to the Australian Aviation Club website. The aim of the Club is to provide a meeting place and a social club for people interested in both civil and military aviation and to promote understanding between persons engaged or previously engaged in the business of aviation.New members are always very welcome.Nominations for membership can be made in writing and submitted by post to the Secretary via the addresses shown on the members application form. Lighthouses: To promote the heritage of the lighthouses of Australia and the people who served on them. Help spread the word further. Be aware of current developments and issues relating to the protection of our lighthouses and their associated buildings. Support or contribute to our collection of oral and written maritime history for inclusion in the Lighthouses of Australia Archive. Maritime clubs: The Australian National Maritime Museum – located at the Sydney’s waterfront at the northern end of Darling Harbour has several vessels of interest, Submarine, big gun destroyers, the Spirit of Australia – fastest boat in the world, or HMB Endeavour – Captain Cook’s vessel of discovery. Visit James Craig the 1874 Tall Ship (when in port). Explore interactive Action Stations exhibits. The museum also hosts six permanent galleries and an ever-changing program of temporary exhibitions and a fleet of historic craft at its wharves. Model Ships: There are a number model ship clubs across Australia that depict Australia’s extraordinary maritime heritage. There are more than 6500 historic shipwrecks that lie beyond Australia’s shores. Each has a unique story and an important place in our heritage. These encompass convict transports, clipper ships, colonial trading vessels, steamships, harbour craft and much more.It is important to pass on the maritime history of Australia with the next generations. Heritage Railways: The Australian heritage and preserved Railways listings from state to state from west to east around Australia, some of which can also be considered tourist railways. For convenience, heritage tramways have also been included. Miniature Railways: A listing Australia and NZL Clubs. The list may well have some anomalies but is as up to date as possible… mostly kept up-to-date from information supplied in club newsletters… Some clubs are listed as “No public running”, however, most welcome visiting model engineers. The protocol is to contact the club first and arrange a mutual time for your visit. Members of clubs with AALS insurance are reminded that they should inform their home club of their intention to visit other clubs. Model Railway Clubs:The Australian Model Railway Association Incorporated is usually called AMRA. Our members have an interest in model railways of all shapes and sizes. The aim of the association is to foster interest in the hobby. Provide advice and help, and fixed layouts on which to run your trains. AMRA has State branches in Sydney and Melbourne.